Shaw built the Mersey Pottery after leaving the Newport Pottery - he named it Mersey Pottery after Liverpool's River Mersey. Liverpool was the port where pottery was taken for export to the Americas. 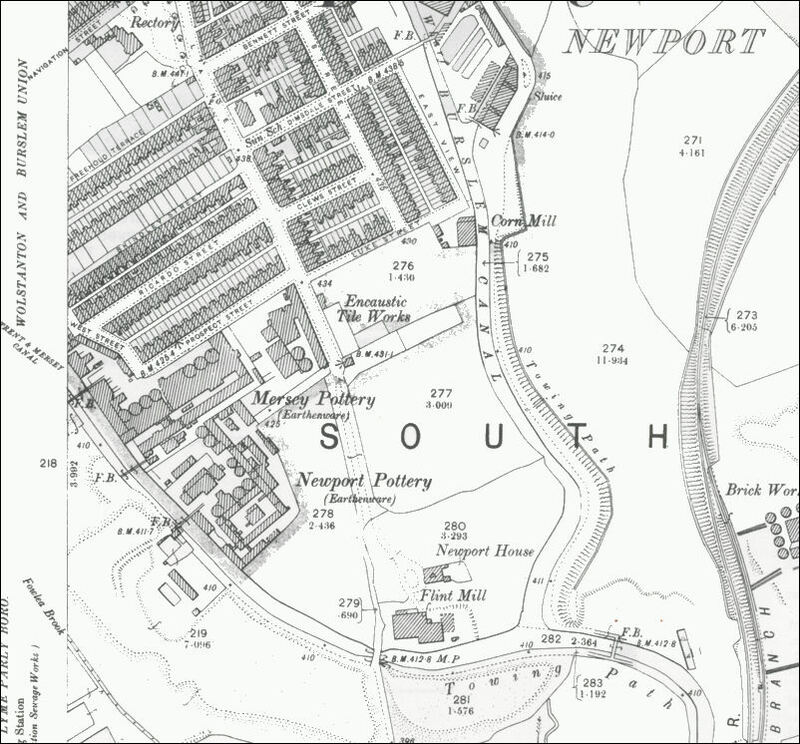 Both the Newport and Mersey Potteries were built on the bank of the Trent and Mersey Canal. 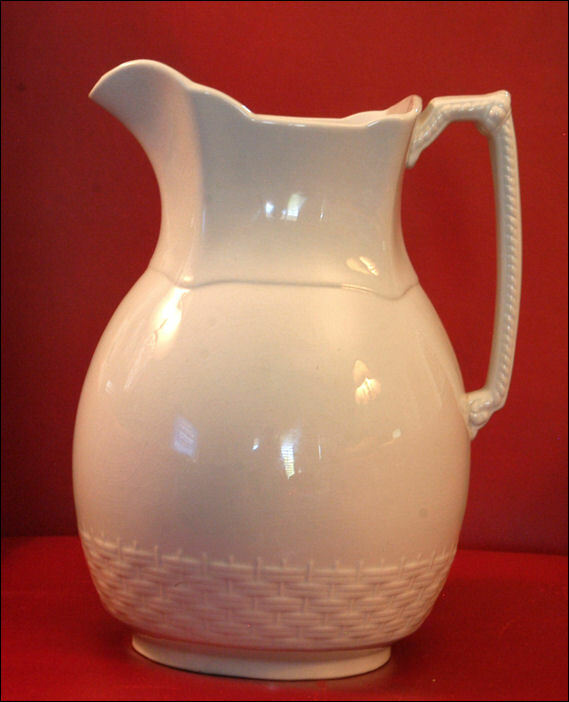 Shaw was famous for his "Tea Leaf" design: Beginning in the 1840's, English potters began to ship white ironstone ceramic ware to the U.S., decorated with lustre bands and/or simple motifs, made exclusively for the American market. Anthony Shaw is considered to have produced the original Tea Leaf motif on his Sydenham, Niagara Fan and Chinese Shape body styles, registered in 1856. Anthony Shaw was born in Cheddleton, Staffordshire. Shaw married his wife, Jane - together they had three children. He established himself as an earthenware manufacturer at the Newport Works. (situated at Middleport between the towns of Burslem & Tunstall). Shaw was living at "Newport House"
Exporting ware to the United States (granite-ware & cream ware) and to South America (luster and painted ware) - in 1855 Shaw was awarded a medal at the Paris Exhibition. 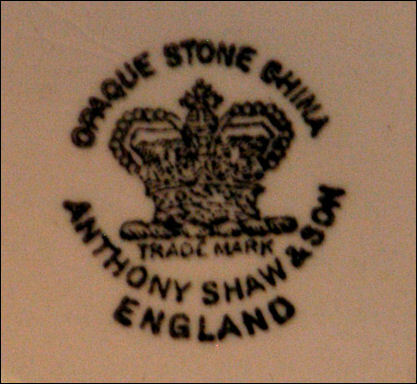 Shaw was famous for his "Tea Leaf" design, Anthony Shaw is considered to have produced the original Tea Leaf motif on his Sydenham, Niagara Fan and Chinese Shape body styles, registered in 1856. Served as chief bailiff of Tunstall. Anthony Shaw build a new works alongside the Newport Works called the Mersey Pottery at Middleport, Burslem. Shaw served on the Burslem Board of Health. A new Wesleyan Methodist Chapel was built in the village of Milton. The site was given by A. Shaw. Shaw took one of his sons into partnership and marks on the ware was styles "Shaw & Son"
Marks were styled "Shaw & Co", around this time the works were taken over by A.J.Wilkinson Ltd.
19th January 1900 Shaw died at his home "Bank House", Buglawton, Cheshire.